Guru Studio is hiring — and producing more 2D animation than ever! On the world stage, Toronto has found itself increasingly in the spotlight. Canada’s largest city, with a population of over 6.4 million people, is home to a booming entertainment industry — and not just because of Drake. Total production investment in Toronto in 2017 was $1.8 billion, with $381 million (or 21 percent) coming from the local animation and VFX market according to the municipal government. Toronto has long been considered an animation hub, spurred on by generous government incentives like the Ontario Computer Animation & Special Effects Tax Credit, a talented workforce trained at world-class institutions such as Sheridan College and leading cultural events like Toronto International Film Festival (TIFF). The backbone of any local industry is its studios though; Guru Studio, among the greatest in the Great White North, has recently announced two new series, Pikwik and Big Blue — and both are being produced in Toon Boom Storyboard Pro and Toon Boom Harmony. “Toon Boom is intended for animating at the production level. It’s industry-standard software that does what it needs to do and provides the toolset required for high-quality television productions,” says Chris Fourney, Head of 2D at Guru Studio. Guru Studio has earned an international reputation for creative-driven storytelling and leading children’s entertainment, and the proof is in the portfolio. Among its most renowned 2D animated productions are Mattel’s Ever After High and the Academy Award-nominated feature film The Breadwinner, both of which it brought to life using Toon Boom Harmony. “For The Breadwinner, we did the ink and paint and texturing in Harmony; we weren’t doing animation per se, it was really technically driven content. We would texture both the line and the character, and it worked fantastically,” Fourney says. The studio has long innovated Toon Boom software like this, having forged a technical tool development agreement early. This has evolved into more of a production partnership than traditional customer-vendor relationship, with a sharing of code and feedback from both sides. 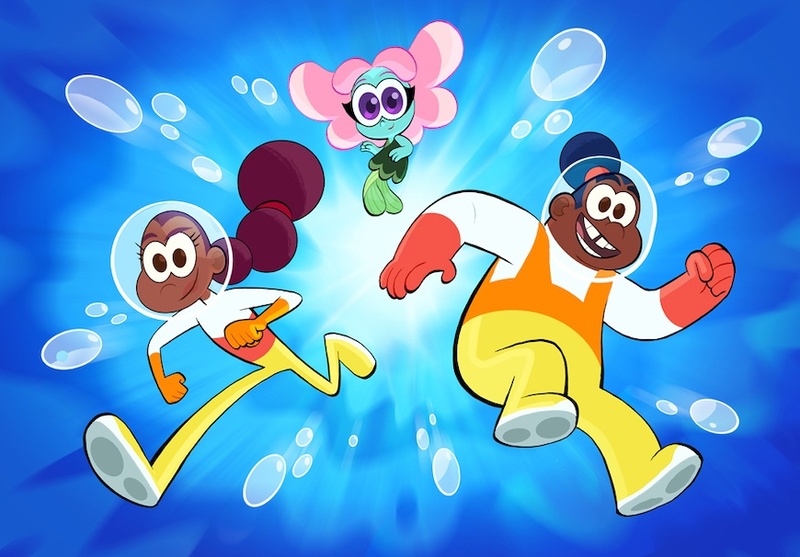 This creative collaboration and connection will be pivotal for the studio’s upcoming kids’ TV series Big Blue and Pikwik, both of which are original IPs. “The good news is, at this point, the ‘right project’ for us is our own content. We have a strong say about what ends up on-screen and how appealing it is, and Toon Boom’s tools help us get to that level,” says Fourney. As an original IP, the creative control Guru Studio has with Pikwik is certainly energizing for its team. 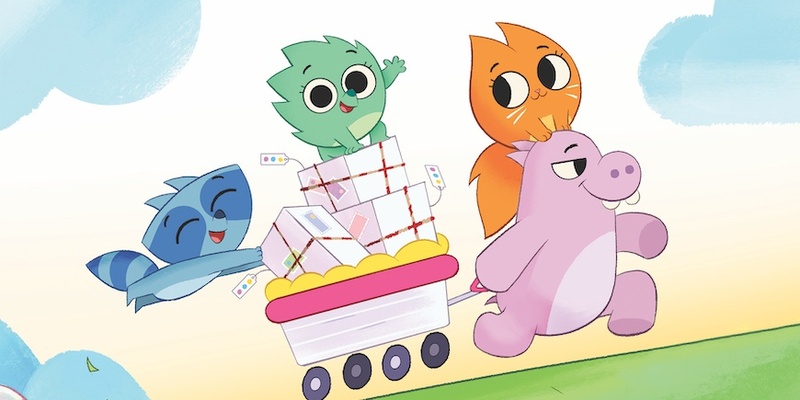 The 52-episode, 11-minute series is aimed at a younger audience (aged two to five) and follows Suki the Hedgehog and her team as they deliver surprise-filled parcels to the colourful critters of the show’s eponymous town. 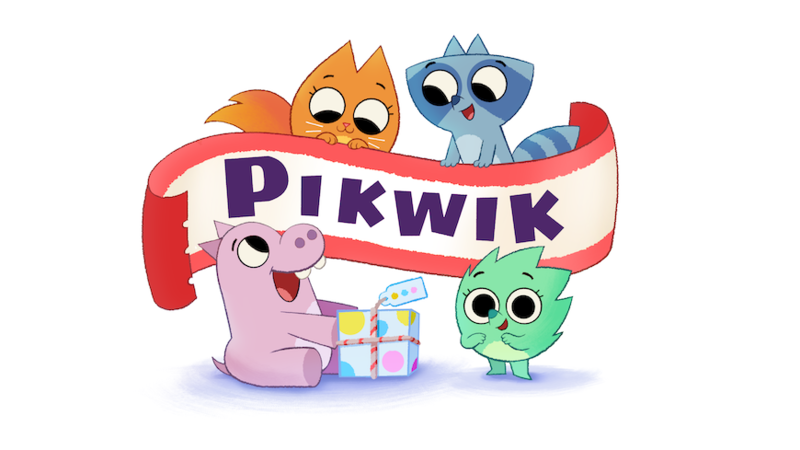 Pikwik is notably one of the first-ever board-driven preschool toons produced in Canada — making for some exciting design and character-led stories created in Storyboard Pro. Fourney describes Pikwik as the perfect show for 2D animation, with an elegant, simple style and fun, snappy characters that allow for visually driven, exceptional traditional work. With a team of around 14 animators and storyboard artists, the series will go into production in the first half of 2019. “What I love about a good board-driven show is our storyboard artists are thinking more about graphic elements — what visually tells the story before having to do dialogue. When you have Toon Boom leading on the program front, it helps us have more power to execute exactly the boards they spent their time on,” says AJ Hansen, supervising animator at Guru Studio. Within a Toon Boom pipeline, Guru Studio’s artists will be able to use the storyboards as references and even first steps for character rigs, which they wouldn’t be able to do with Photoshop or rasters. It also allows for a continuity of toolsets and talent throughout production. As the pipeline becomes refined, artists aren’t burdened with licences, switching programs, saving, and exporting and importing — instead, they can efficiently hit a couple buttons and everything is ready. “Being able to stay within one pipeline or set of tools simplifies the approach technically and creatively because we are able to train similar skill-sets between storyboard artists and posers and animators. If they were just used to Photoshop or another program, there would be a translation — you’d have to hire a new person to do it,” says Fourney. Hansen notes that more 2D animated series are seeing improvements in compositing, which is pushing boundaries and elevating quality. Currently, Guru Studio has many of its compositors working in 3D in Nuke, though Fourney would like to bring everything into Harmony. He estimates not having to switch softwares will save at least a week on every episode. Ever After High was composited using a hybrid of another program and Harmony, though mostly the latter. Having come from a career in 3D animation and Maya, Hansen was immediately impressed by the software’s capabilities when he joined Guru and began working on the fantasy series. “I remember thinking, ‘Wow, they are using Harmony at the next level.’ I love working at Guru on a Harmony show because it isn’t people using it as a substitute Flash — they’re actually looking at the program and using tools the way that they are meant to be used,” he says. With Pikwik and Big Blue on the horizon, Guru Studio is actively seeking to grow its Toronto-based team further with top-level talent. At the moment, it is specifically looking for experienced animators and posers, though all are encouraged to apply. And while knowledge of Harmony is a bonus, Guru Studio does do in-house training as well. “I found Harmony pretty easy to learn. Having come from 3D, at no point did it make me feel unwelcome — it made sense and I loved it within the first week or two,” says Hansen. To apply to work at Guru Studio, explore its job opportunities.